HVO biodiesel (Hydrotreated Vegetable Oil) is a form of renewable diesel that has been produced from vegetable fats and oils. Unlike regular biodiesel, hydrogen is used as a catalyst in the creation process instead of methanol. 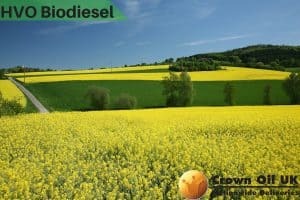 This makes it a more clean-burning, environmentally friendly diesel alternative, without the short shelf life of regular biodiesel. Why come to us for HVO Biodiesel? 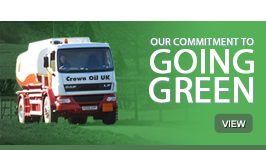 When you get in touch with us, we will be able to process your order straight away and arrange for your fuel to be delivered within 48 hours. Do you urgently need fuel? 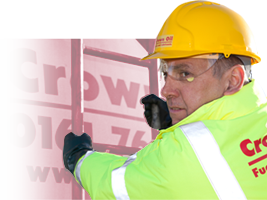 We offer an emergency fuel delivery service to ensure that you don’t have to wait longer than 24 hours receive your order. 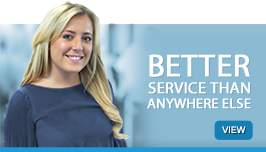 After you have placed an order with us, you will be given your own dedicated account manager. They will be your reliable point of contact whenever you want to place another order, or if you simply need a little advice or support regarding your HVO supply. Finding it difficult to manage your fuel supply? With our fuel management service, you can leave the whole thing to us. 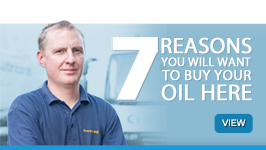 We will monitor your fuel supply so then we know exactly when you need your tank topping up. What’s the difference between HVO and regular biodiesel? The production process is the main element that differentiates HVO with regular biodiesel. While biodiesel uses methanol as a catalyst in the esterification process, HVO uses hydrogen as a catalyst instead. As a result of using hydrogen, it leads to a hydrogenation process instead of esterification. Hydrogenation removes the oxygen from the fuel, while esterification fails to do that. Why Is HVO becoming so popular? One of the main hurdles that biodiesel producers have been trying to overcome is the sustainability of their fuel. Because regular biodiesel involves an esterification process that fails to remove oxygen from the diesel, it increases the chances of oxidation, which leads to contamination. This is why biodiesel has to be closely monitored to make sure it is still usable. HVO biodiesel is created through a hydrogenation process, which means that all of the oxygen is removed from the oils. This makes it much more likely to last longer in the tank than biodiesel. How does HVO biodiesel compare to other fuels? In a large number of areas, HVO is actually superior to other forms of fuel. The table below compares the different characteristics of HVO biodiesel, FAME, and regular diesel.